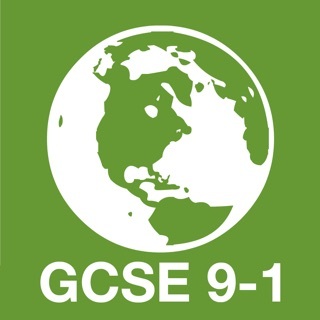 9-1 GCSE AQA Biology has hundreds of facts, processes and concepts that you just need to know. 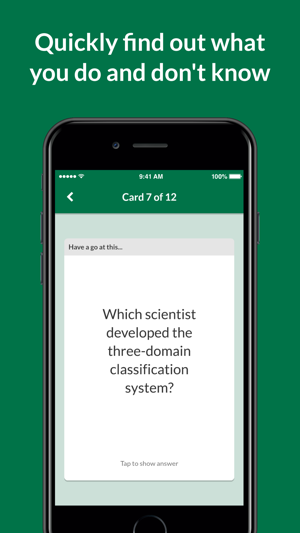 But revising all of these things is a massive job - that’s where Key Cards steps in. 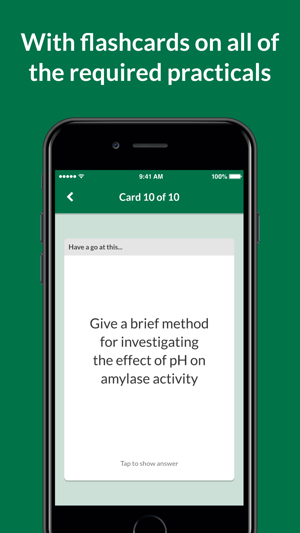 We’ve broken down 9-1 GCSE AQA Biology into easy-to-learn flashcards, including cards on the required practicals, and the app has been developed in consultation with an experienced GCSE teacher. 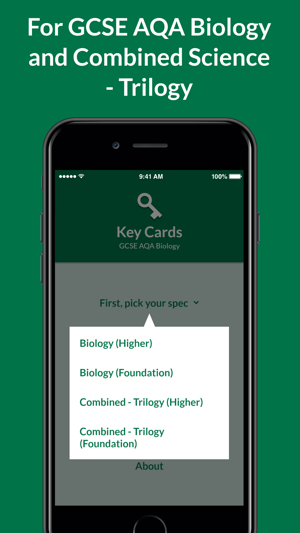 Key Cards works wherever you are - you don’t need paper, a pen or a calculator. 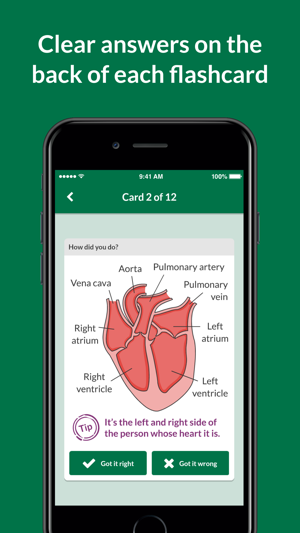 You can jump in and do a few cards on the bus or before bed. The key to remembering the facts, processes and concepts is to review them repeatedly over time. 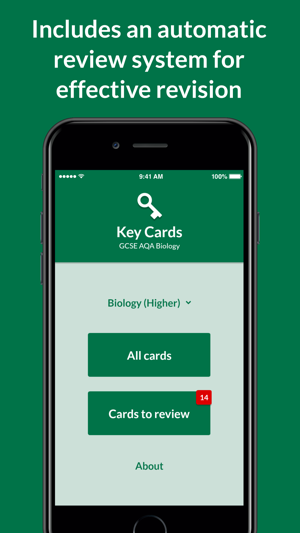 That sounds like a hassle, but Key Cards includes an automatic review system for effective revision. 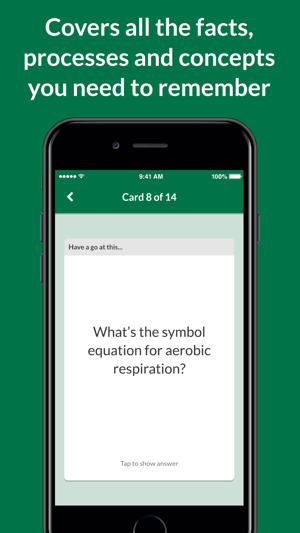 All you need to do is answer the cards - you'll be told when to look at them again. 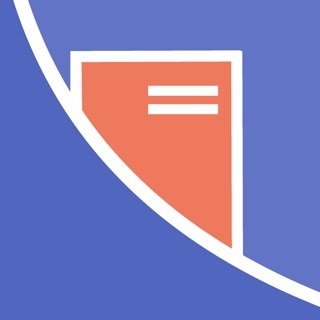 You'll get all of the content as soon as you buy the app - nothing's hidden behind in-app purchases or adverts. 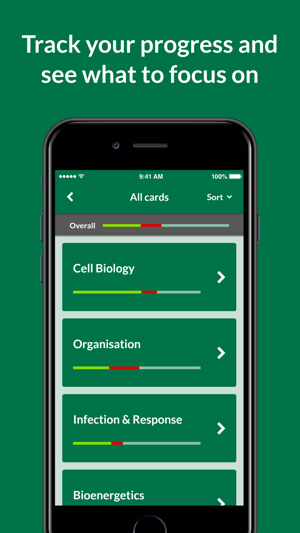 As a Student that hasn’t even reached year 11, I think this app will help and prepare me for my GCSEs. 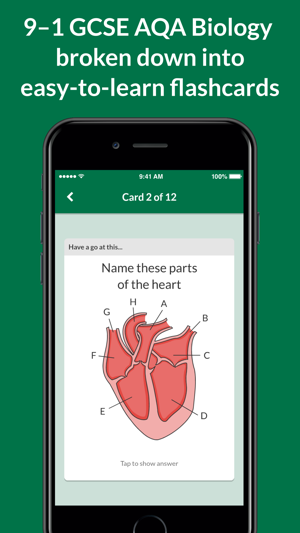 I have bought he Biology app and will one day also gat the chemistry and maths one. I loved this app. It covered so much stuff and has a helpful layout. 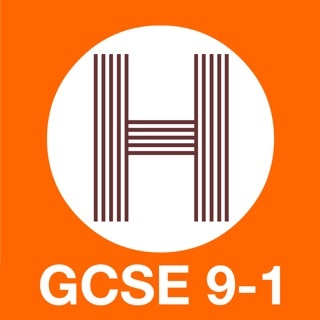 My questions are will there be a physics one, and do they cover absolutely everything that you could possibly need to know (excluding in depth 6 markers)?